How does unbilled time work? 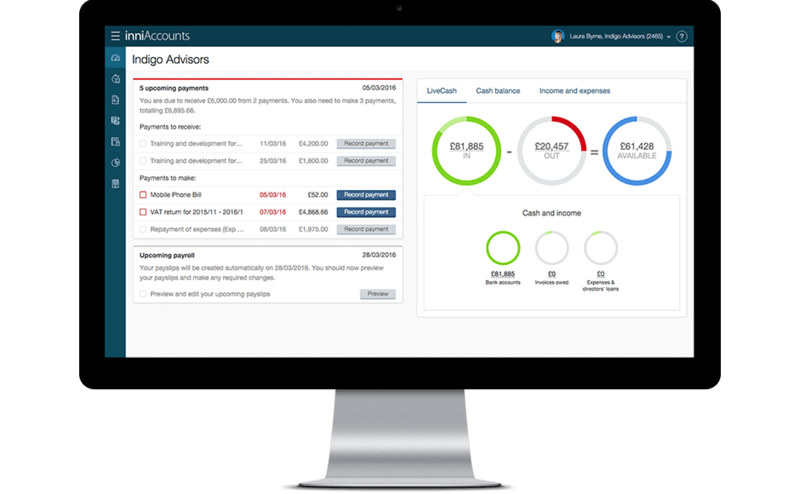 inniAccounts tracks unbilled time from your time sheets, helping to ensure you always get paid the right amount for your services and can raise invoices in seconds. With a contract set up your client will appear in the time sheets of the Quick Entry area. This will allow you to record the time spent working for clients which in turn allows you to raise an invoice by simply adding unbilled time from your time sheets. Using time sheets helps ensure complete records and will mean you can create and send an invoice to your client in seconds. What you enter in your time sheet depends on what rate you have set in your contract settings. If you have set up a day rate in your contract, enter 1 for a chargeable day or 0.5 for a half day in your time sheet. When you click the button to create a new invoice, your clients will be shown along with the unbilled time from your time sheets. It’s an easy way to quickly see what work you still need to invoice your clients for. When recording hours or days worked in time-sheets, your time will remain unbilled until you’ve ‘added billable time’ to a new invoice. Once added to an invoice, your unbilled hours or days will reduce to reflect that you’ve created an invoice for that period of services. If you’ve not been paid for the invoice you can edit it by removing the manual line for professional services and replace it using the add billable time option. Always check to total amount on the invoice is unchanged before saving. If you cannot edit the invoice, for example if you have marked it as paid in your bookkeeping, you’ll need to remove the hours from your time sheet for the period invoiced. Simply go to the Quick Entry area, find the weeks timesheet and set the hours / days worked to zero. Can I track time using hourly & day rates? Do I have to use inniAccounts’ time tracking?